I’ve spent the last week chatting with astronauts and other whip smart folks who work for NASA and its international equivalents on the shakedown cruise for the new Viking Orion ocean ship that boasts retired astronaut Anna Fisher as its godmother. Fisher was able to invite about 100 of her friends on board this cruise and I was among a small group of incredibly fortunate journalists to tag along for the adventure. In a panel and in one-on-one chats many of the more than two dozen current and former astronauts on board shared stories about being in space and, throughout the cruise, astronauts and non-astronauts alike had a chance to check out the skies from the ship’s decks and in its high-tech planetarium. Today I leave the ship and all the astronauts behind and fly home on an airplane – not a rocket ship. But I’ve got my eyes on the skies and I’m pleased to learn that on Thursday, June 21 – just in time for the summer solstice – a new astronomy park honoring super-hero astronaut and Ohio native John Glenn will open in rural Logan, Ohio, about forty miles southeast of Columbus. 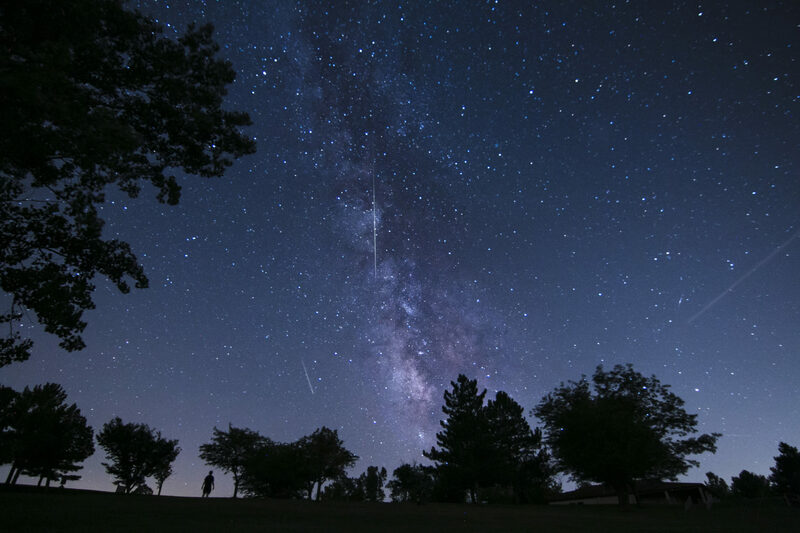 The John Glenn Astronomy Park (JGAP) will not only allows visitors to explore the night sky, but it will also offers daytime study with a Solar Plaza to study the Sun, Earth and the North Celestial Pole, among other celestial features. The 80-foot in diameter Solar Plaza highlights the Sun’s orientation to the Earth as it changes throughout the year and is encircled by a low wall with notches offering framed views of the Sun on key days. The new park also has an enclosed 540-square-foot observatory with a retractable roof to permit night sky viewing. (All photos courtesy of the John Glenn Astronomy Park, except for photo of John Glenn, which is courtesy of NASA and the planetarium photo, which is courtesy of Viking Cruises). Space tourism: do real astronauts want tourists in space?